You know this 91-year-old Houstonian’s music, if not his name. “I’m full of names that everybody now has never heard before,” says Herb Remington. 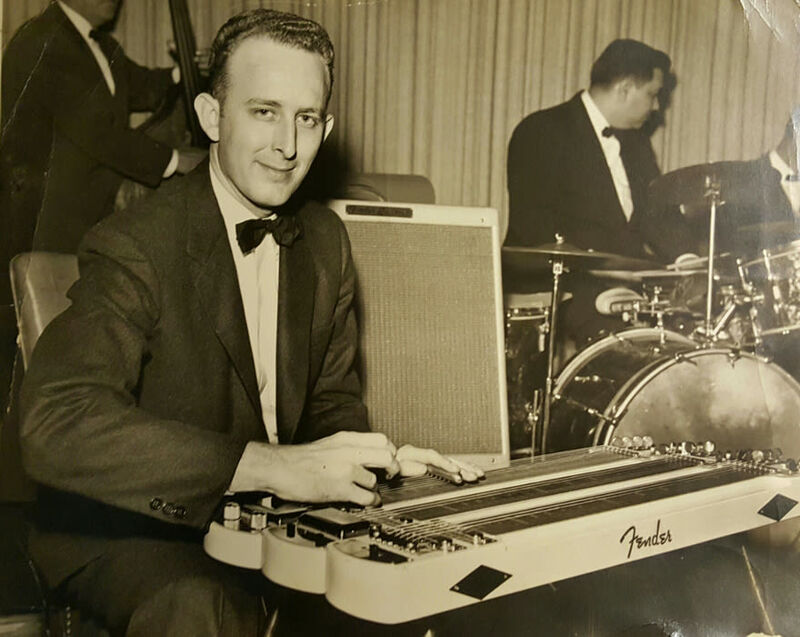 The 91-year-old Houstonian steel guitar player has been recovering from a vertigo-induced fall. But while his back is hurt, his memory is sharp as ever as he rattles off the names of musicians from decades past, names like Spade Cooley, Judy Lynn and Ray Whitley, plus one many have indeed heard before: Bob Wills. In 1946, 20-year-old Remington auditioned for Wills in a Hollywood hotel room crammed with musicians. Wills liked the young steel guitarist so much, he hired him on the spot as a member of Bob Wills and the Texas Playboys. Remington would spend four years touring with the Western swing kings before falling in love with a Houston girl and, in the early 1950s, moving to the Bayou City. In the decades that followed, Herby, as he’s known, became a living legend, writing standards including “Boot Heel Drag” and “Remington Ride,” and later selling custom-built instruments from his headquarters, still located in Gulfgate. 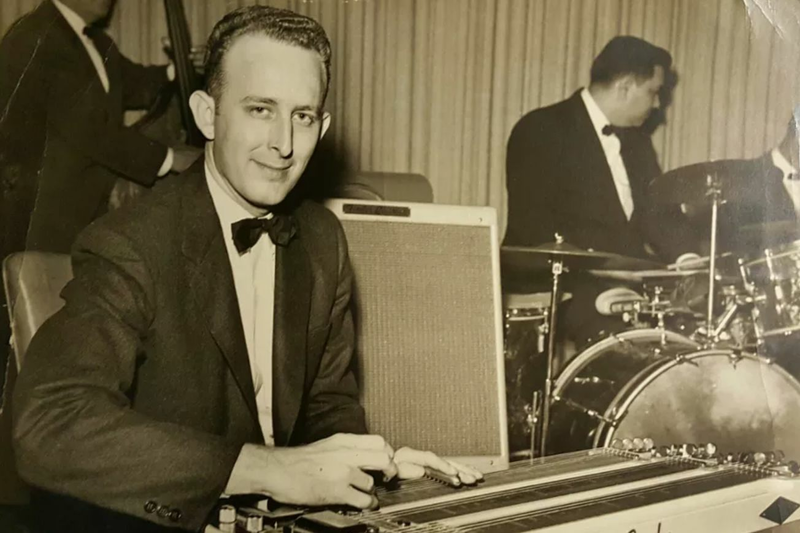 Nevertheless, outside of country music circles, today few people know Remington’s name, and as the popularity of the steel guitar wanes, he seems to be pondering his legacy. He tells a story about meeting a young Glen Campbell, who died in August, at Houston’s now-shuttered Parker Music, before mentioning steel guitar player Buddy Emmons. Not that a chat with Herby is all doom and gloom—the man’s full of jokes and road stories, including an account of the time, during a set, when he dropped his bar, which he needed to play his instrument, and watched it roll into the audience. “I’m not very talkative today,” he deadpans after an entertaining hour of conversation in which he can’t help but show pride for his own preternatural talent. After all, it’s just a fact. “He’s a genius, that guy,” says dobro and steel player Cindy Cashdollar, who met Remington after joining Asleep at the Wheel in the early 1990s, when the Austin-based band was recording a tribute to Wills with members of the Texas Playboys. Country music wasn’t Remington’s first love. Growing up near South Bend, Indiana, he learned to play guitar the way many Depression-era kids did, from door-to-door instrument salesmen and mail-order music lessons. It was at the local movie theater where Remington first heard the steel guitar, played in a style known as hapa haole—essentially, Hawaiian music written for white audiences. It was during the late 1940s that Remington met a girl named Melba at a show. The two had instant chemistry, and Remington quit the Playboys so they could move to Houston and get married. Within a few years, the couple had formed their own band, a Hawaiian group called The Beachcombers, with her on keyboard and singing. They toured the country through the 1960s and early ’70s, playing luaus and tiki-themed restaurants, and also took a year-long standing gig at The Golden Nugget in Las Vegas. There’s no question that today, both man and instrument still have their devotees. “Herb is very loved and respected in the steel guitar community,” says Volk. “People appreciate his legacy and his long career.” Those who’ve covered “Remington Ride” include not only Cashdollar but jam band String Cheese Incident and blues musician Freddie King.